I’ve had the chance to play half the games I brought back from Essen at least once now, so I thought I’d give you a brief first impression of each of them (I’ll do a follow-up on the others once I’ve played all the rest). Please remember these are just early thoughts: full reviews of all of the games will be heading your way over the next few months. Also, they especially need to be taken in the context of the player counts used (several were solo plays, for example, which often gives a very different impression to a competitive game). When I lined up this medium weight euro I was hoping for a game akin to Cuba, but more fun; on one play, I’ve got exactly what I’d hoped for. Your points will come from fulfilling contracts for goods and progressing along a few tracks – and you’ll do it via a dice drafting/action selection mechanism. So far so whatever. But as you activate rows and columns during a round you’ll limit later options in the round, which makes for some tough decisions – and rewards for clever play. There can also be some fierce competition for actions, dice and position; making it highly interactive, but no in a mindless ‘take that’ way. One play verdict: probable keeper. After a solo run through of this fast engine-building card game I thought, ‘I think I’ve just about got the hang of this’. But after a four-player game in which everyone involved was baffled throughout, I’m still not really any the wiser as of what to do. It’s the kind of game where everything feels as if it’s familiar, but nothing is actually what you expect. You can never play cars from your hand; you can play them into a place where you don’t think you want them, because you can’t use them – but at the end they’ll score you points. And you’re trying to build your engine despite not usually knowing whether you’ll get the cards you want. It’s just totally unintuitive. Half of me thinks it will reward repeated plays. The other half can’t quite see it ever being fun enough to warrant the time it will take a group of players to become proficient at it, rather than frustrated and baffled. Two-play verdict: unlikely to make the cut. This was on my radar as a game to play with my girlfriend, who likes tile-laying and other games with a bit of depth but no massive rules overhead. On first play, I’m hopefully onto a winner. There’s nothing new or clever here, but the combination of simple mechanisms with some meaty decisions – and a bit of luck – seems to be just about right. You draw cards, place people/ships, and gather resources – all the while deciding whether to spend some of your hard earned stock to increase its end game vale in a light stock market mechanism. It all comes together beautifully, is really well produced, and plays in the appropriate amount of time for this sort of thing (about an hour with four). One play verdict: probably keeper, but with slightly suspect replay value. I haven’t mentioned rulebooks yet, but frankly I shouldn’t have to. With thousands of games with of practice behind them, surely game publishers can make half decent instructions? Well, so you’d think. It took me three runs at the Noria rulebook to actually get it played – so no one was more surprised than me to find a relatively straightforward game hiding in the box. Like Ilos its largely a market manipulation game, but with a clever/original rondel/action selection mechanism which sees you both choosing which extra actions you want, but also how often (and powerfully) they’ll crop up and be available. The solo mode was OK, but I very much doubt I’ll revisit it. For most the fun here is going to come from the competition with other players, rather than the cleverness of the action wheels/rondels – which begs the question: will all the fiddliness be worth it? And will the AP outweigh the fun? One play verdict: the jury’s out. I’d kept my eye out for a few smaller footprint two-player games and this one drew my eye at the show. Our first play didn’t disappoint: fast setup/pack down, super cute pieces, typically simple abstract game rules – but plenty of interesting decisions and a short play time. It feels like a spatial game in a similar way to Hey, That’s My Fish; in that you have to be thinking at least a few moves ahead. But there’s a bit of randomness (which is optional) and variability that should hopefully keep us coming back for more. Verdict: probable keeper. I really like a good trick-taking game and was very happy with my pick of last year’s Essen crop, Eternity. I love the art on this one too, and the presentation/rules etc overall are great, but what about the gameplay? I understand you have to do something a little different to stand out in the very busy trick-taking market, and one of the ideas here appeals and works well: cards you win in tricks give you ‘goods’, essentially, and a few (or loads) of a type will score you points – but if you get stuck in the middle ground, you’ll lose points instead. Now to pull this off, you’re going to need control: which is unfortunately made impossible by the trump changing after every trick – and you have no idea in advance what to. And yes, after every single hand. This made hand control practically impossible, which we all found very frustrating. Maybe more plays will reveal a way to cope with this, but right now I’m sceptical. One-play verdict: trade pile. The third dice-chucker from Pleasant Company Games feels very familiar if you’ve played Ancient Terrible Things: perhaps too close. Here it’s distilled into a two-player battle, with similarly great art to its predecessor – but also very similar mechanisms. There’s a small amount of ‘take that’ on offer, which is well implemented, while gameplay feels smooth and polished. But the question remains: do I need this, when I could just play Ancient Terrible Things two-player? The answer is probably going to come from seeing how much the take that element wins us over – and on whether you can quickly enough differentiate yourself from your opponent (which didn’t happen enough here). One-play verdict: the jury’s out. This isn’t a new game (it was re-released in its current form at Essen 2016), but is one I’ve only just picked up for review. I’d heard a lot of good things about it, and the artwork and presentation are amazing, so I was keen to give it a try. First impressions are incredibly strong. The game is very short and simple, but every decision is absolutely agonising. You may only take four actions in the whole game and even the very first one feels absolutely critical to your success: the tension starts to build the minute you look at your initial hand. But having said all that, these positives for me seemed to be negatives for my better half. She looked equal parts confused and perturbed throughout, and at the end was far from won over. I’m hoping it will win her over after a few more plays, but it’s not looking good! One play verdict: good, but Marmite! 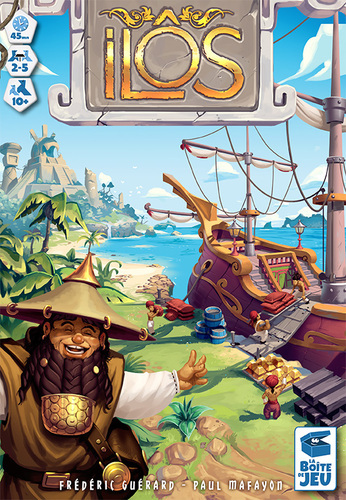 I won’t be giving a full review of this children’s game from Pegasus Spiele, as it has already been handed on to a more suitable audience – but not before I played it twice. Apparently quite the children’s personality in Germany, here you’re charged with helping our chubby unicorn hero eat as many cookies as possible – while exercising, of course. The art is cute, components perfectly adequate, and set up is simple. But while the game comes from design heavyweight Reina Knizia, it’s fair to say he phoned this one in. On your turn you roll a dice and do what it tells you – so far, so standard for a six-plus years children’s game. However, three sides of the dice mean you have no decision to make at all, while another gives you a reroll – so again, no decision. It’s a shame, as the other two sides see you choosing how far to move (which can be an interesting decision for a young child) or playing a light memory game: more of this on the other dice sides and it could’ve been a much better game. But it has another fun side too. Wherever you move Chubby you remove a cookie card – so of course you have to say “nom nom!” as you do so. This was funny with both the girlfriend and four adult male friends in a hotel after several adult beverages, so I’m presuming this alone will be enough to keep younger kids engaged for a while. But ultimately, despite being a giggle, it feels terribly half-baked.